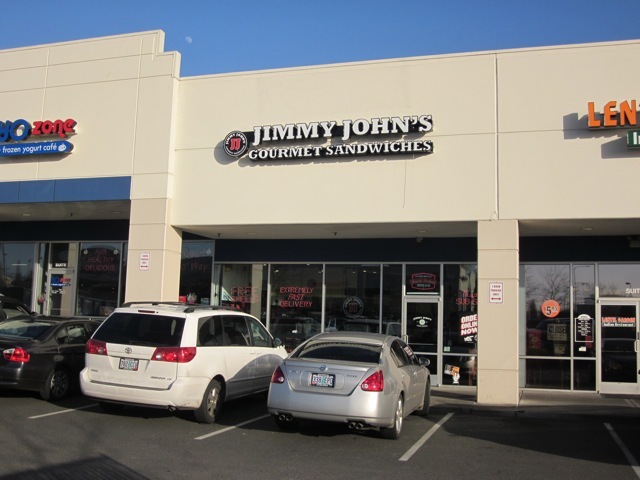 Just a few years ago (like two years ago, actually) there were no Jimmy John’s Gourmet Sandwich restaurants in Portland at all, now there are seven* of the shops in the metro area. 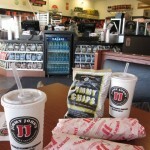 Here’s why: Jimmy John’s is really good, really fresh AND really affordable. As far as the chain shops go, Subway might have their $5 Footlongs (and those uber-annoying commercial jingles to go with), but they’re the low man on the totem pole as far as a sandwich spots go these days. 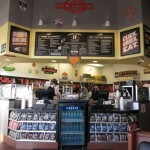 Quizno’s toasts their subs, but the service is soooo sloooow and the food is still just blah. Big Town Hero? They used to be good (about 10 years ago), but as their prices have gone up, the quality seems to have gone down. I was itching to get out of the city, so a friend and I high-tailed it to Tanasbourne for some retail therapy and lunch. 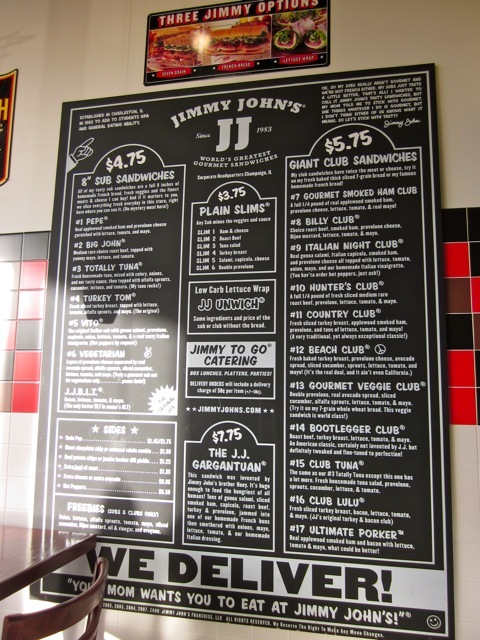 While there are plenty of lunch places in the NW 185th area, I knew there was a Jimmy John’s nearby and I’d been craving a big, cold cut sub for ages. 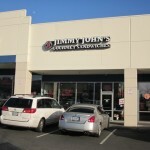 Jimmy John’s was next to our next retail target, Target, so it was a done deal. 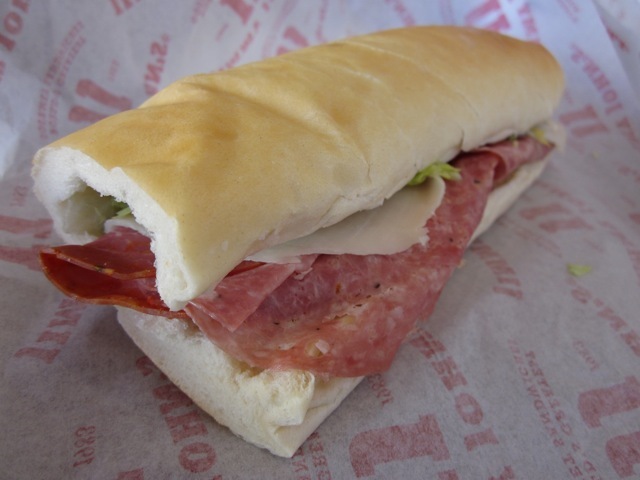 Being a newbie to JJ’s, I quickly studied the menu, and decided on the 8” #5, The Vito: Genoa salami, provolone, capicola, onion, lettuce, tomato and zesty Italian vinaigrette on their famous French bread roll. 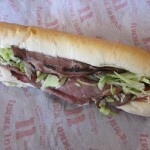 My shopping pal, who’s familiar with JJ’s due to Midwest roots, went for the #10, Hunter’s Club: roast beef, provolone, lettuce, tomato and mayo. 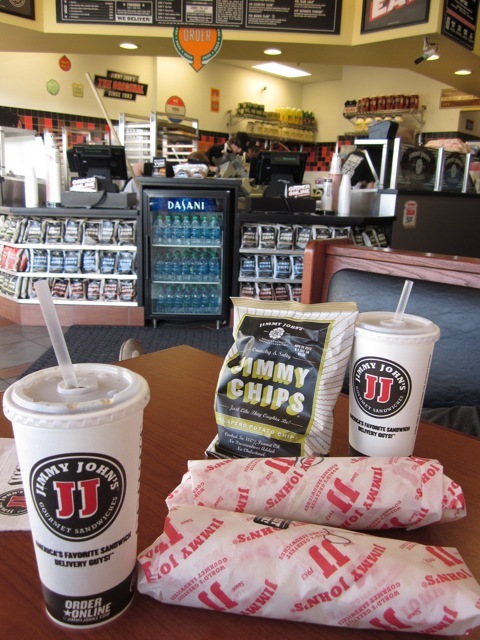 Within seconds our sandwiches were ready to eat! It’s really, really speedy service. 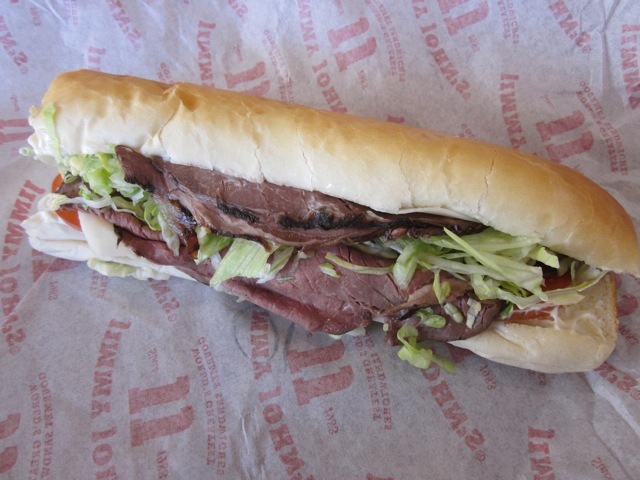 While the sandwiches at JJ’s aren’t all that bad for you to begin with (it’s really easy to get the nutritional information), you can have your sandwich prepared on 7-grain wheat bread or they’ll even make your sub into a lettuce wrap. This is nice because swimsuit season will be here soon (I hope)! 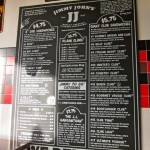 One thing I really like is that JJ’s also offers delivery. This is fantastic for that workday when you don’t have time to leave the desk for lunch. 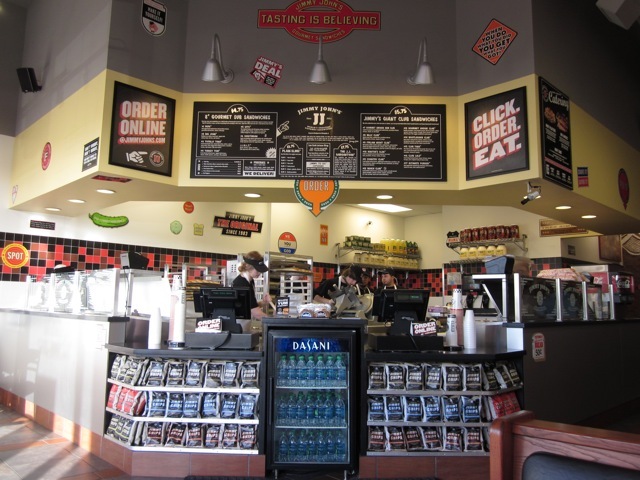 Just call or place your order online and, voila, lunch is on its way! 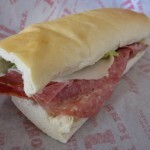 Overall, I was very pleased with my first JJ’s experience. I actually took half my sandwich home and enjoyed it the next day for lunch and it WASN’T soggy! That’s an impressive feat!! Wish there were more locations!